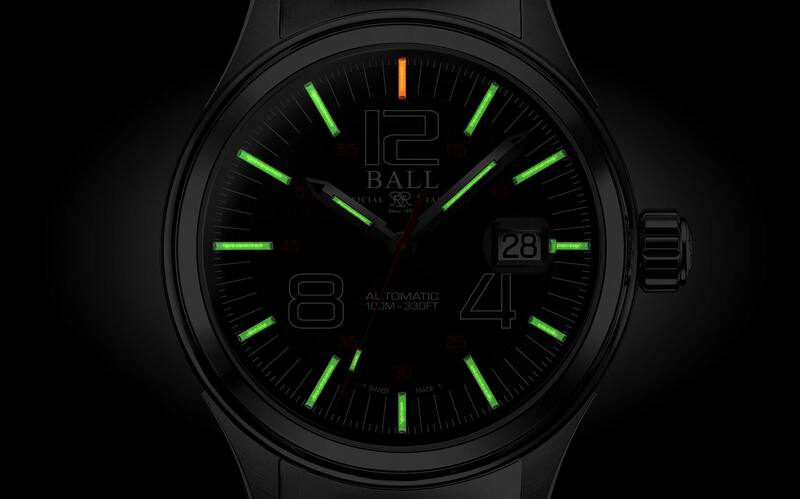 Ball, one of the few brands that use tritium in its dials, announced the Nightbreaker, a new model in the Fireman collection. The model, which the users can design according to their wishes and get the caseback engraved, was presented to watch enthusiasts with a nice pre-order price. The model is offered in a stainless steel case measuring 40mm x 11.3mm. Sporting a scratch resistant sapphire crystal and a screw-lock crown, the case is water resistant to 100 meters. The new model is offered in two different dial options for personalization like selecting the color of tritium on the hands and indices. The date display, arranged with a black on white date disk, is located at 3 o’clock. There is also a magnifying cyclops on the date window to increase readability. It does not even need to talk about its performance in a dark environment as the tritium tubes fulfill the tasks properly. 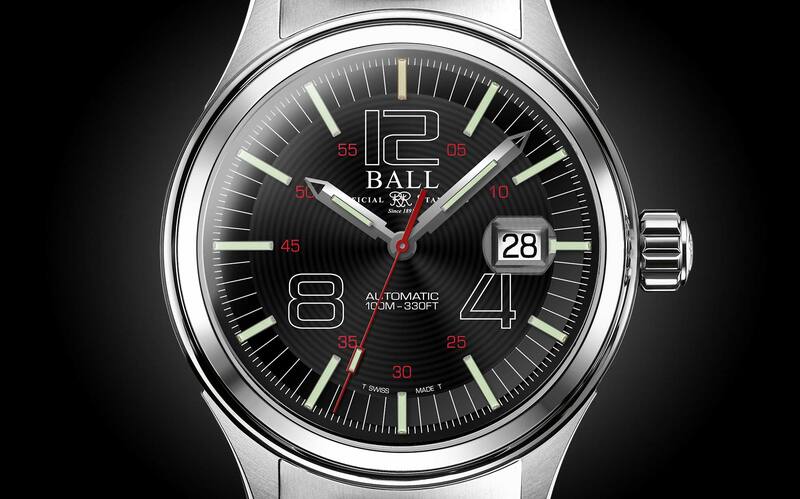 Ball Fireman Nightbreaker is powered by the self-winding Caliber Ref. RR1103. Based on the ETA 2824-2, the movement beats at 4Hz and offers a power reserve of 38 hours when fully wound. The model is offered with a variety of strap and stainless steel bracelet options including rubber, leather and a French made NATO strap. Ball has set a very competitive pre-order price for the Fireman Nightbreaker at 701, 00 CHF. The pre-order models will be delivered to their owners by 12th July. The models will hit the stores on November 2017 with their actual MSRPs. Please click here to create and buy your own Fireman Nightbreaker model.